The older population in the United States has grown at a record breaking rate in recent decades. As a result, issues that impact seniors, and those who care for them, have taken on a heightened importance. As of the 2010 Census, the Town of Woburn, Massachusetts was home to 38,210 people. At that time, 15.4 percent of the town’s population was age 65 or older and 10 percent of all households had someone living alone who was age 65 or older. Whether you are a senior yourself, or the caregiver of one, living in the Woburn, Massachusetts area, you will undoubtedly find the need for a number of elder resources from time to time. 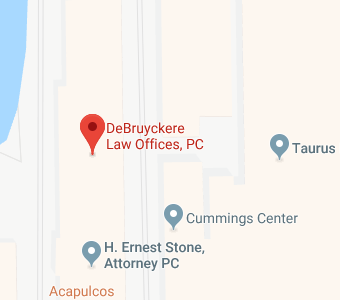 Because we understand how difficult it can be to locate some of these resources, the attorneys and staff at DeBruyckere Law Offices have put some resources together for you that you may find helpful. If you have specific questions involving any legal issues that impact seniors, please feel free to contact our office to make an appointment with one of our elder law attorneys. The Executive Office of Elder Affairs for the Commonwealth of Massachusetts can be an excellent all around resource for seniors and their caregivers. One of the most helpful resources you will find is the City of Woburn’s official website. On the website, you will find city services listings with phone numbers and address. You can also navigate the “How do I menu” to find answers to common questions relating to city services. If you need to pay for any city services, you can also do so on the “Bill Pay” section of the website. Are you tired of driving over a pothole on your street? Do you want to complain about the trash service? You can do that as well through the website using the city’s “SeeClickFix” option. Law enforcement for residents of the City of Woburn is handled by the City of Woburn Police Department as well as the by the Middlesex County Sheriff’s Department. Massachusetts Care Planning Council which offers a list of facilities as well as a wealth of helpful information related to long-term care. com which offers you the ability to search for all types of care, including home care, assisted living care, and skilled nursing facilities in and near Woburn. Finding the right facility for your needs is only one consideration. The cost of that care is another. The cost of long-term care (LTC) in the United States has increased as the older population has increased, and shows no signs of slowing down in the years to come. In 2017, the average yearly cost of LTC in Massachusetts was almost $150,000 – among the highest in the nation. Because neither Medicare nor most basic health insurance plans cover the expenses associated with LTC, it is imperative that you plan ahead. While Medicaid does cover LTC expenses, the Medicaid eligibility guidelines can be problematic for many seniors in the absence of advanced planning which is why the estate planning attorneys at DeBruyckere Law Offices strongly recommend incorporating Medicaid planning into your comprehensive estate plan. By taking the time to plan ahead now you can protect your assets in the future and ensure that you will qualify for Medicaid if you need help covering the high cost of LTC. As a senior, you may also find that you qualify for assistance from the Social Security disability or retirement program. For information, of Social Security disability benefits, visit the Social Security Administration’s (SSA) website. Information about your Social Security retirement benefits can also be found on the website. If you are a veteran, or the surviving spouse or dependent of a veteran, you may also be entitled to a number of benefits through the Veteran’s Administration. Once you reach retirement age, you will likely be automatically enrolled in the Medicare program. Although basic Medicare is free to all seniors, Medicare actually has four parts and the other three parts may come with a premium. Before you sign up for any Medicare options, make sure you understand the benefits offered with each part, and the premium you will be charged. Finally, you may find additional resources aimed specifically at helping the elderly on the federal government’s Eldercare Directory. If you find yourself in need of assistance paying for LTC, you may want to apply for MassHealth for seniors. Many state and federal programs can provide much needed assistance; however, navigating the rules, regulations, and application procedures can be extremely frustrating and often leads to an initial denial of benefits. If you are a caregiver applying for a family member or other loved one and you do not yet have the legal authority to act on his/her behalf you will face an additional hurdle because you do not yet have guardianship over your loved one. At DeBruyckere Law Offices, we are committed to helping you obtain the benefits that you, or your loved one, deserves. Whether you simply need assistance understanding the numerous benefits available or are faced with the need to go through the entire guardianship process before you can even start applying for benefits, we are here to help. Our experienced, compassionate, and caring team of elder law attorneys and staff are dedicated to helping our senior population and the people who care for them with legal issues and concerns. Along with Medicaid planning and other state and federal benefits, we can also help you with other estate planning concepts such as incapacity planning, tax and probate avoidance, funeral and burial planning, and making sure you have an advanced directive in place. Please feel free to contact the experienced Massachusetts elder law attorneys at DeBruyckere Law Offices by calling (603) 894-4141 or (978) 969-0331 to schedule your free consultation.